3D Floor Plans – Having trouble visualizing your floor plan? 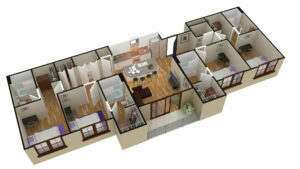 These high quality 3D floor plan overviews shows you exactly how your home flows and pieces together. Ever wondered how your furniture will fit in your new home? Well now you can visualize this prior to building. 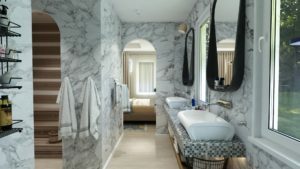 The 3D overview is produced exactly as per your plan and to scale, including the home fully furnished to your requirements and also to your chosen color scheme. Home Builders and Developers are starting to use this solution for their marketing rather than 2D floor plans. These high quality professional images are created exactly as per your detailed floor plans and to your color and material selection. Perfect for Home Builders and Developers for marketing their product, and for private clients to see exactly how their home and colors would look prior to construction. Any room of interest can be created and just about anything is possible with these images. Please click here for our image gallery. These high quality professional images are created exactly as per your detailed floor plans and to your color and material selection. 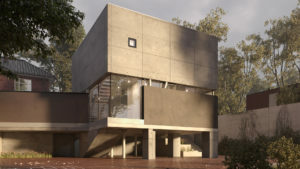 Perfect for Home Builders, Developers, Real Estate Agents & Architects for artist impressions and for private clients to see exactly how their home and colors would look prior to construction. Every home builder should include this service in their color selection process giving the client an invaluable experience. Please click here for our image gallery.